Oh, how the tide has turned against abortion. Just last week, there were three stunning setbacks to the pro-abortion movement. The first came Tuesday during oral argument in the Hobby Lobby case before the U.S. Supreme Court. The left wing of the Court was having a field day by predicting a parade of horribles if Hobby Lobby were to obtain a religious exemption from contraceptive regulations that violate its owners' consciences. But then, Justice Anthony Kennedy, the swing vote in the Court, startled liberals with a comment he made to the Obama administration's attorney: "Under your view, a for-profit corporation ... could be forced in principle to pay for abortions." Kennedy evidently opposes compelling anyone, even for-profit corporations, to pay for abortions. Kennedy has not ruled in favor of abortion in more than two decades, and he is the decisive fifth vote on the issue. Barely minutes had elapsed after Kennedy's remark when the U.S. Court of Appeals for the 10th Circuit independently issued its own stunning decision against the abortion industry. 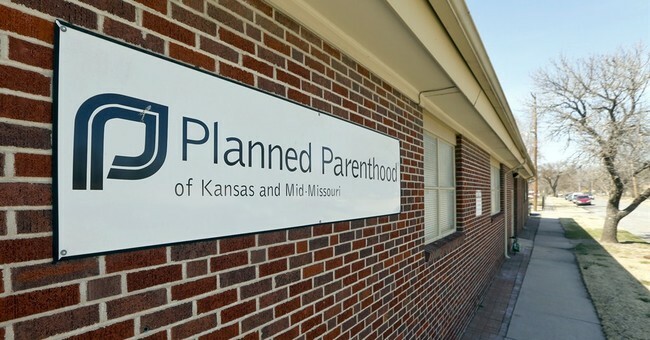 It upheld the defunding of Planned Parenthood by the state of Kansas, in Planned Parenthood of Kansas and Mid-Missouri v. Robert Moser. Kansas limited, as all states should do, the distribution of federal family planning money under Title X to public entities, hospitals and federally qualified health centers that provide full health care services. Planned Parenthood is not on the list to receive this taxpayer money, and it ran into court to get a trial judge to block the good law. But on appeal, the 10th Circuit reinstated the law and even held that Planned Parenthood lacked a legal basis to challenge it. There is no constitutional requirement that hundreds of millions of taxpayer dollars must continue to flow to groups affiliated with abortion clinics. Yet, time and time again, judicial activists have invalidated state laws that attempt to cut off the funding. Now this liberal gig may finally be over, thanks to this landmark 10th Circuit ruling in favor of the power of states to prevent taxpayer dollars from flowing to affiliates of abortion clinics. Given that a majority of the Supreme Court apparently opposes requiring corporations to fund abortion, it follows that taxpayers should not be required to fund groups that promote or are affiliated with abortion. The best ruling of the year was still to come. Last Thursday, an all-women panel of the U.S. Court of Appeals for the Fifth Circuit rendered a stunning verdict against abortion clinics by upholding all significant parts of the pro-life bill (HB 2) that passed in a Texas special legislative session last summer. This law sensibly prohibits abortion unless the abortionist has hospital privileges within 30 miles of the abortion so he can remain available to handle any complications he causes. On no other major medical operation does the surgeon avoid helping on complications, as abortion providers often have been doing. The business model of the abortion industry has been to shift the costs of complications onto hospitals, taxpayers and even pro-life physicians. The victims of abortion who have serious complications typically end up in emergency rooms, where the abortionist is nowhere to be found. If Pennsylvania had a similar law in effect, as was urged there for years, then Kermit Gosnell would not have been able to perpetrate his horrific acts in Philadelphia. This 30-mile rule is protective of women against unsafe medical practices, such as back-alley-style abortions, and those who side against these protections for women cannot call themselves pro-women. Nineteen abortion clinics have closed in Texas because of this good law, and liberals who oppose unsafe abortions should be cheering about the closures. Instead, they are whining and claiming that the Supreme Court should take this case on appeal. But in light of Kennedy's comment against forcing corporations to fund abortion and his unwillingness to side with abortion for more than two decades, Planned Parenthood may not dare appeal either of these rulings to the Supreme Court, which could result in a nationwide ruling against abortion. Both rulings last week give candidates an excellent platform for confidently addressing the abortion issue with young voters. Candidates can reject bad advice urging them to support gimmicks, such as the worthless "personhood" approach, which are then used against them. Republicans should learn from the legislators who passed the pro-women, pro-life law in Texas and the law ensuring that family planning money goes to the right places in Kansas. With three women judges unanimously upholding a law that results in the widespread closure of abortion clinics in Texas, Republican candidates now have something positive to campaign on.